Professor Blackman was appointed Vice–Chancellor of Middlesex University in July 2015. Prior to coming to Middlesex he was Acting Vice–Chancellor at The Open University and previously Pro Vice–Chancellor for Research and Quality. Professor Blackman has extensive leadership experience in higher education. Having graduated from Durham, he returned to the University to hold positions including the Head of the School of Applied Social Sciences, Director of the Wolfson Research Institute and the Dean of the University’s campus in Stockton–on–Tees. He has also served as Dean of the Faculty of Social Sciences and Law at Teesside University and Deputy Dean of the Faculty of Social Sciences and Law at Oxford Brookes University. 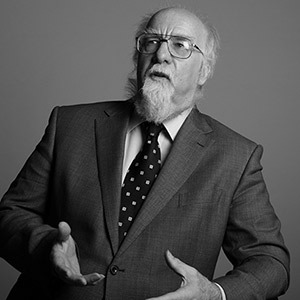 A Fellow of the Academy of Social Sciences and Royal Society of Arts, Professor Blackman has also served as an assessor for Social Policy and Social Work in the 2014 UK Research Excellence Framework exercise. Our Executive is made up of seven leading individuals who report to and support our Vice-Chancellor to carry out our mission to transform potential into success. Andrea started at Middlesex University in April 2016 coming from the University of Surrey where she held the position of Pro Vice–Chancellor Learning and Teaching. Previous positions include Director of the Joint Language Centre of the University of Zurich and the Swiss Federal Institute of Technology, which she established in 2002, and lecturer in German at Warwick University. Andrea provides executive leadership to student success and the student experience and leads on the University’s submission to the Teaching Excellence Framework. She also has responsibility for the University’s three international campuses in Dubai, Mauritius and Malta. 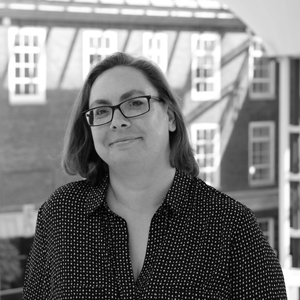 Katie Bell came to Middlesex University London in 2009 following a career in brand marketing, innovation and strategic planning for Nestlé UK and GlaxoSmithKline Consumer Healthcare. Her role before joining Middlesex was Vice–President of Global Digital Marketing. She has also worked for several years in Portugal and Spain, and was the Dean of the European University Business School in Barcelona and Madrid. As a member of the University’s Executive team, Katie is accountable to the Vice–Chancellor for strategic leadership, management and development of the University in relation to home and international student recruitment, marketing and communications, alumni and external relations, international development, and academic and corporate partnerships. She is also a Non–Executive Director for UCAS Media. James Kennedy joined Middlesex University in 2016 and is responsible for strategic financial planning, capital investment and driving strategies to optimise the effective and efficient utilisation of resources and processes. James has worked in a variety of different sectors, most recently as Chief Operating Officer with an NHS Foundation Trust. Prior to this, James worked for 10 years at Thermo Fisher Scientific, a US quoted company, where he held a number of UK and European director level positions. James is also a member of the Institute of Chartered Accountants of Scotland and holds a master’s degree from the University of Oxford in Engineering Science. 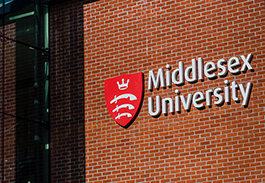 Sophie Bowen joined Middlesex University in 2016. Prior to this, she worked at St George’s University of London as University Secretary and Director of Academic Administration and Quality. 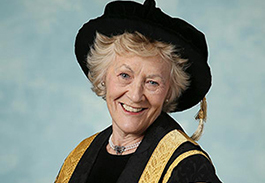 She also held a variety of roles at the University of Birmingham. Sophie graduated from the University of Oxford with a BA and MPhil (Research) in Sociology as well as an MBA from the Open University. At Middlesex, Sophie is responsible for the management and leadership of the Planning Unit, Academic Registry, Computing and Communications Systems Services (CCSS), Human Resource Services, Governance and Regulation and records management. Carole–Anne Upton is the Executive Dean of the Faculty of Arts and Creative Industries and she is responsible for grouping together the former School of Art and Design and the School of Media and Performing Arts. Carole–Anne joined the University in 2012 as Dean of the School of Media and Performing Arts and Professor of Theatre. Prior to joining the University, she was Chair in Drama at the University of Ulster. Carole–Anne has 20 years’ teaching experience spanning directing, space and performance, liveness and documentation, modern Irish theatre, French classical theatre, Beckett, avant–garde performance and African and Caribbean theatre. 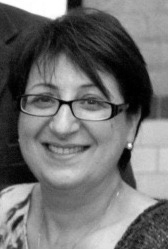 Anna Kyprianou is Pro Vice–Chancellor and Executive Dean of the Faculty of Professional and Social Sciences, which comprises the Business School, the School of Health and Education and the School of Law. Anna’s areas of specialism are organisational behaviour and leading and managing people with a particular emphasis on the virtual organisation. She has worked with the strategic development of organisations and their leadership and management teams for more than 35 years. For the past six years, she has been elected the Vice President for the Chartered Institute of Personnel and Development’s Membership and Professional Development Committee and also sits on the CIPD Board. Professor Loomes is the Executive Dean for the Faculty of Science and Technology, Pro Vice–Chancellor for Research and Professor of Computer Science. He has over 40 years of experience in education having taught mathematics and computer science at a wide range of levels. He has published widely and managed several large research grants over the years, nearly all collaborative with industry. Martin’s main area of interest is how people conceptualise problems and design solutions to problems using computer technology. This includes aspects of safety critical systems (where mistakes occur), machine learning (how aspects of problem solving can be automated), and systems engineering (how components are brought together to generate solutions). With the Executive Team, develops the strategic approach. Individually carries out specific responsibilities determined by the Vice-Chancellor. The Academic Board, which is chaired by our Vice-Chancellor Tim Blackman, is made up of 30 individuals that advise on the recruitment and retention of our students, the content of our curriculum, and the assessment and examination process.